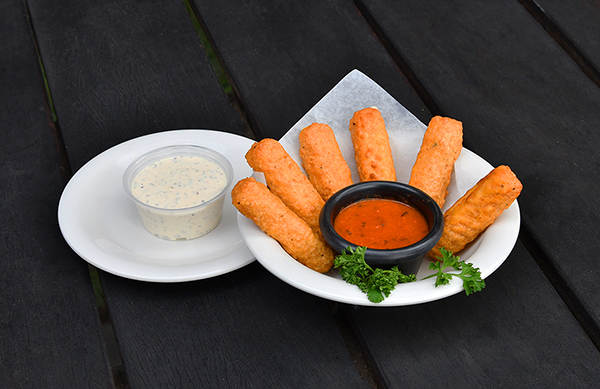 Battered mozzarella sticks baked to perfection, served with housemade tomato basil sauce or ranch dressing on the side. All natural chicken, sliced mushrooms, bacon bits, fresh tomatoes, cilantro, covered in shredded cheddar cheese. Served with house made guacamole, salsa, sour cream. 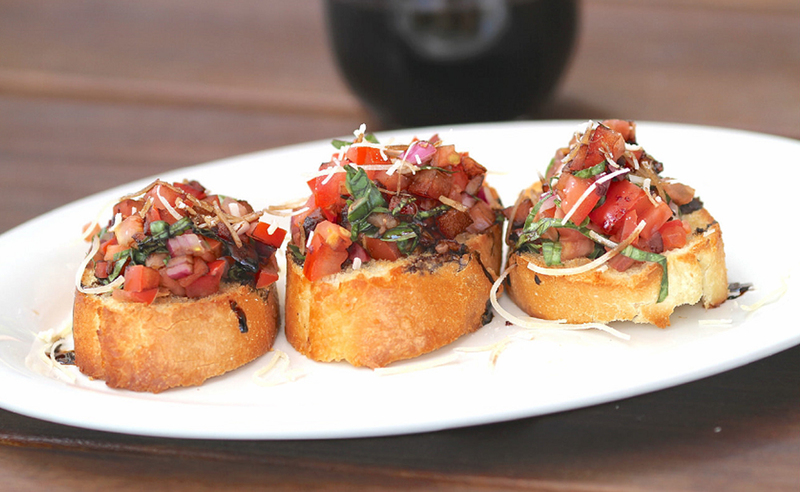 Drizzled with balsamic reduction and topped with parmesan cheese. 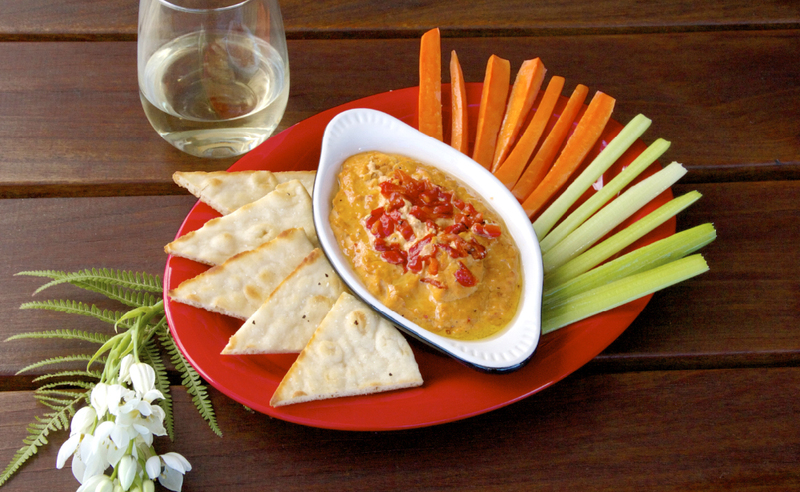 Pair with a pale ale or Merlot. 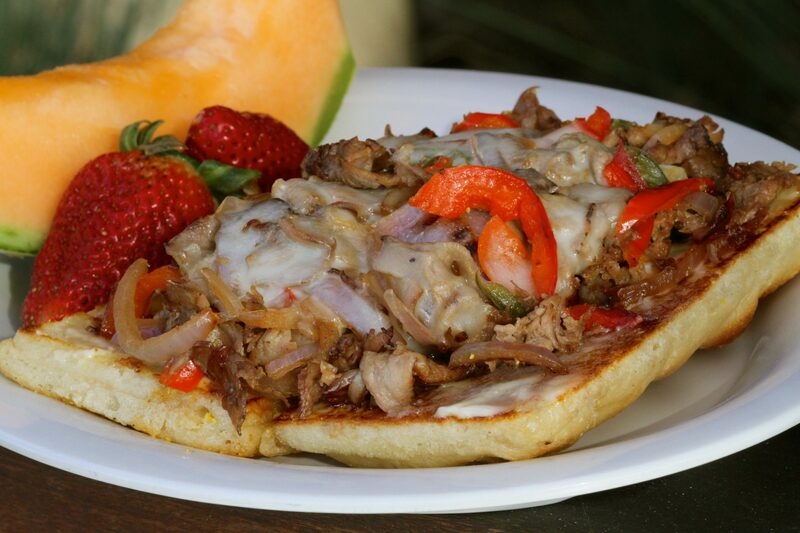 Served with freshly baked pita bread and hand cut veggies. 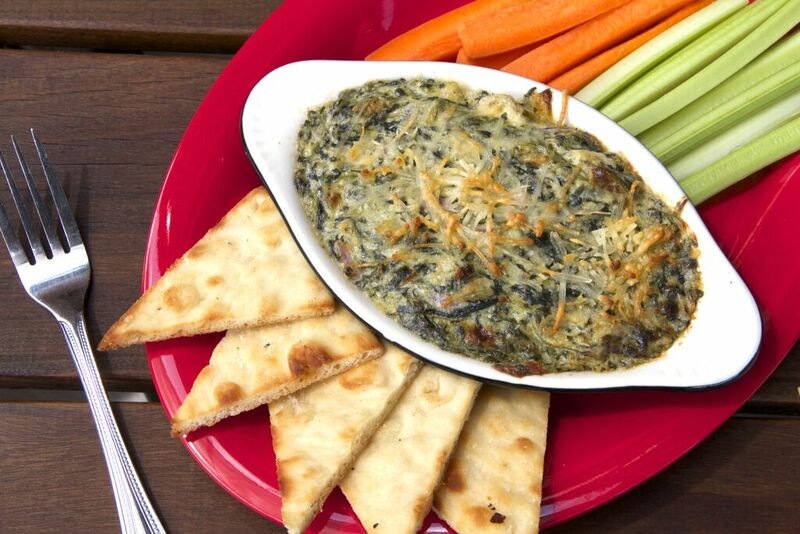 Pair with Pinot Noir or a pale ale. House made hummus topped with pine nuts and roasted red peppers. Served with freshly baked pita bread, carrots, and celery. Pair with Sauvignon Blanc or an IPA. 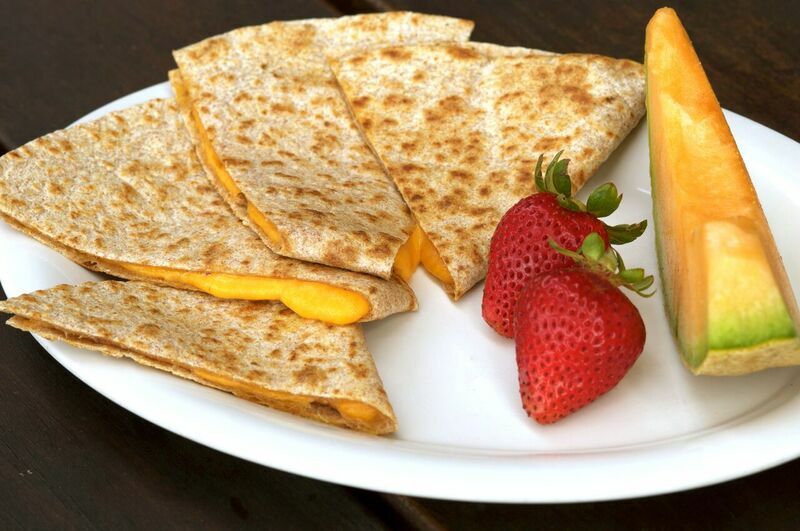 Served with sharp cheddar and Swiss cheese dip. 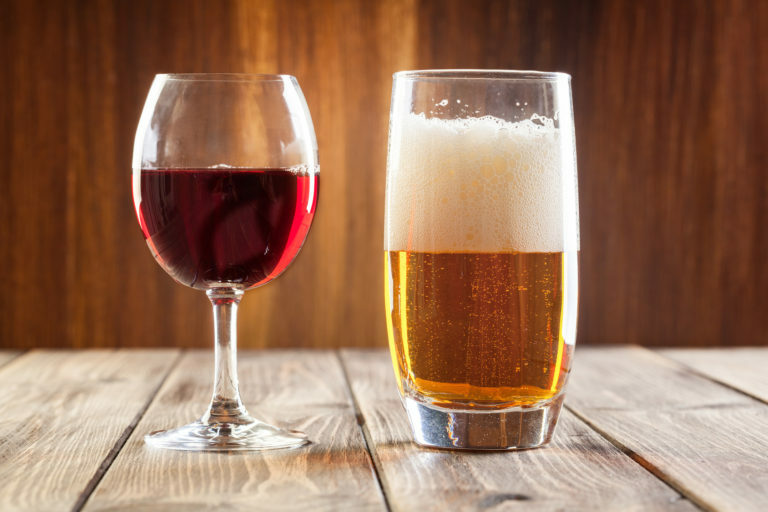 Pair with a lager or Cabernet. Breakfast Sandwich – It’s much MacBetter! and better for you! Egg, sharp cheddar cheese, and your choice of bacon or turkey sausage on ciabatta. 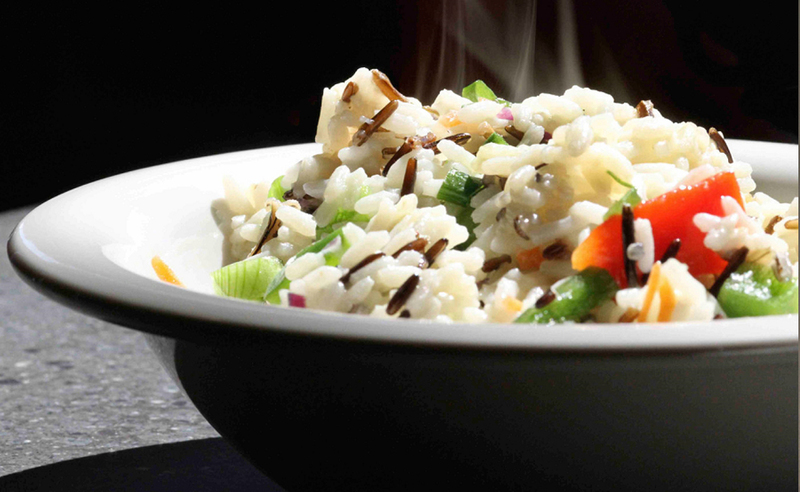 Steel-cut or (Irish) oats are chewier, whole grain with a nuttier flavor than rolled oats. Top it off with fruit, nuts, or brown sugar. Small cup $475, large bowl $575. 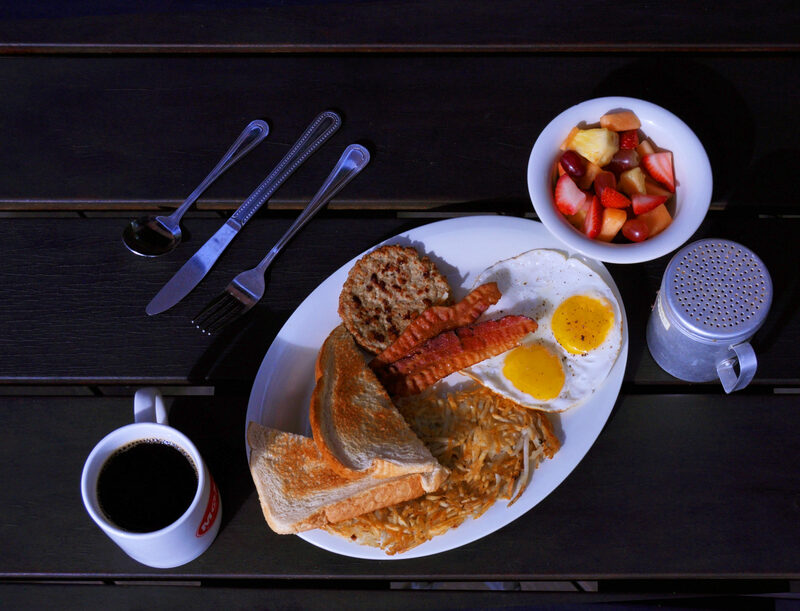 A breakfast Eisenhower could be proud of! 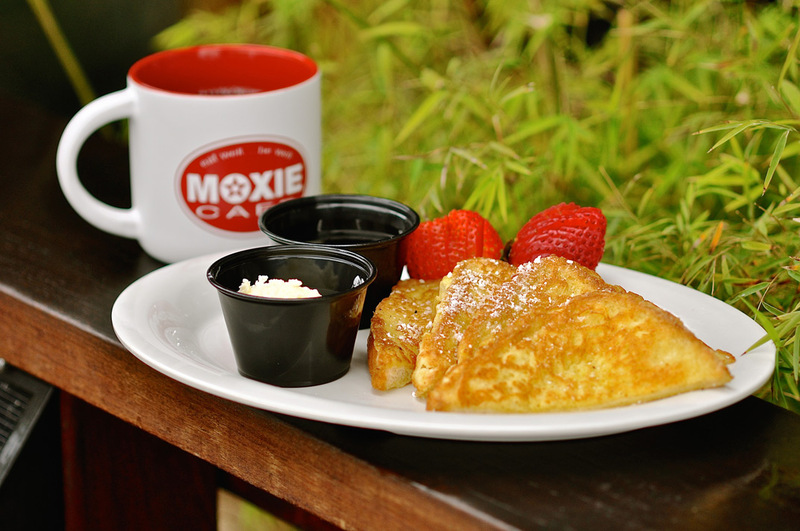 Moxie’s 5 Star Breakfast Platter includes hash browns, toast, eggs (your choice of style), fruit cup, and your choice of bacon or sausage. Now that’s how a general starts a day! Maybe even better than Mom makes! Four thick slices of wholesome Texas Toast. Freshly made with a hint of cinnamon and served with a side of real maple syrup. Fresh fruit on the side. 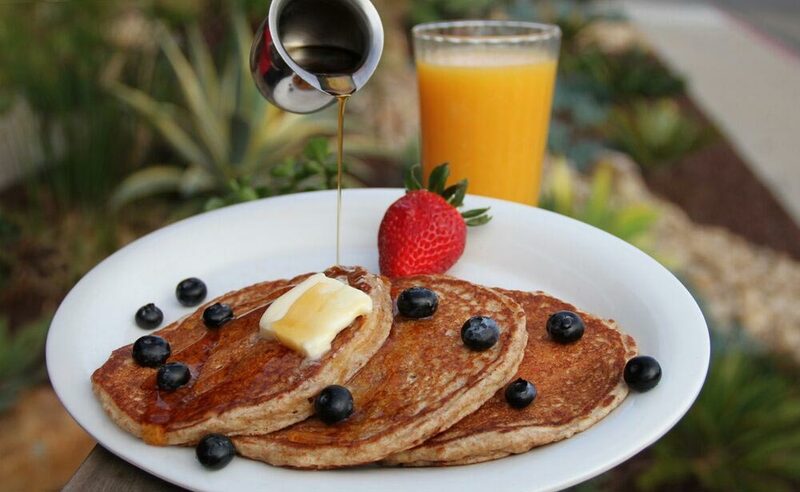 Three whole wheat, oatmeal groats, and bran pancakes with real butter, real maple syrup. 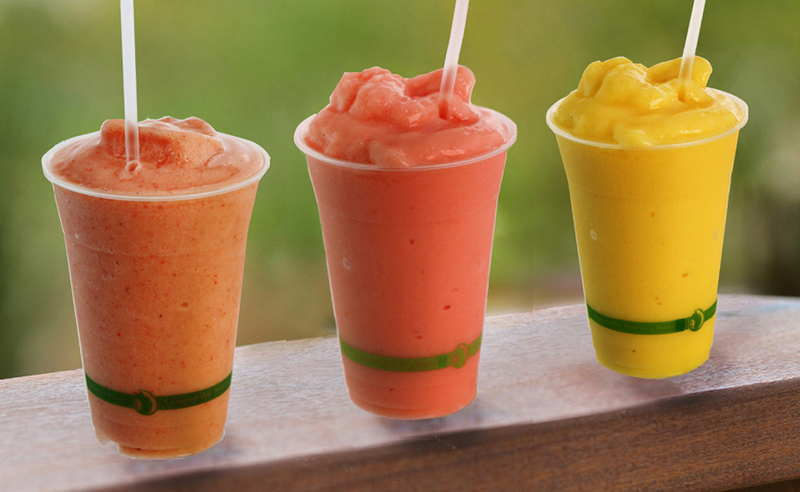 Now choose from original, banana nut, strawberries, and cream, or chocolate chip. 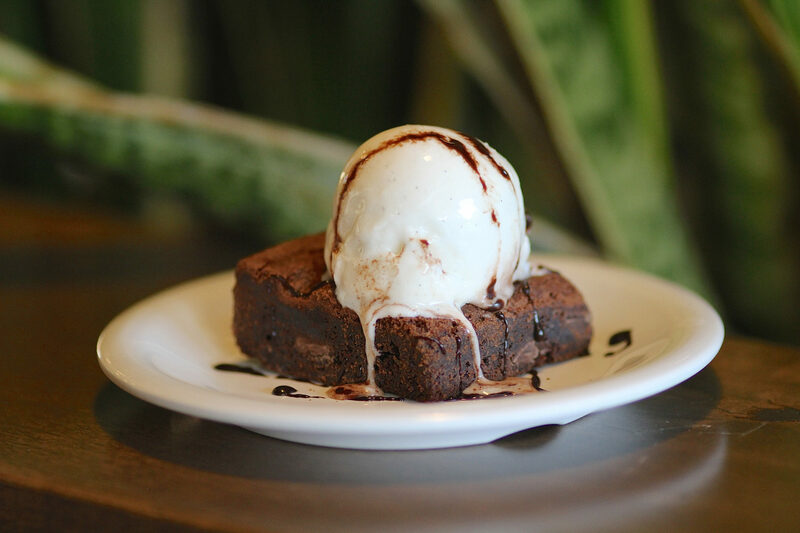 A freshly baked warm chocolate brownie topped with your choice of your favorite gelato. 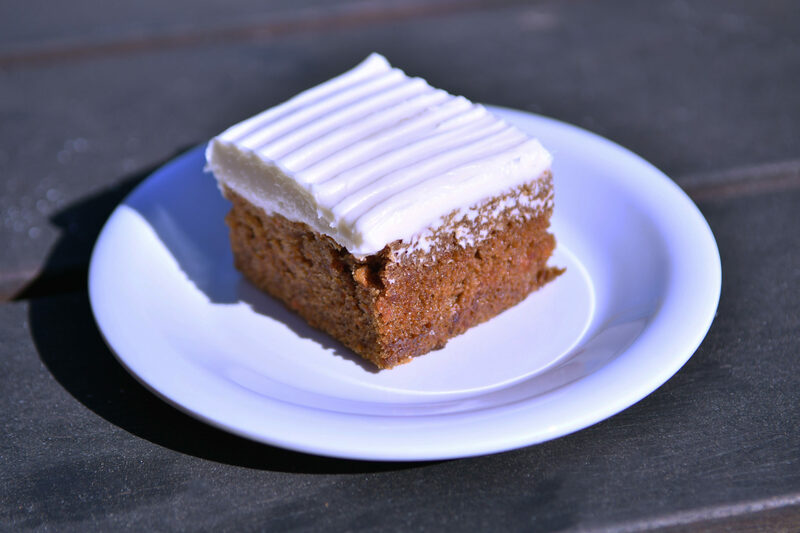 Carrots, creme cheese, a touch of vanilla, and cinnamon accent this delicious dessert. One bite and you will know why it is the Creme Supreme. 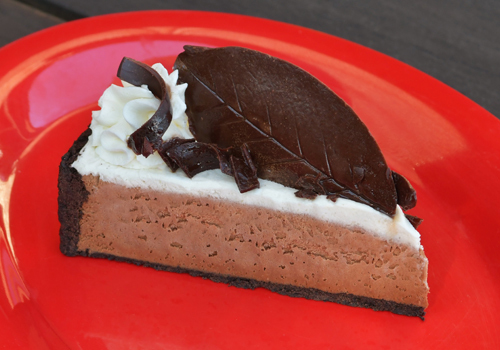 Chilled chocolate mousse poured into a delightful cookie crust and topped with whipped cream, decorated with handmade chocolate leaves. Pure bliss! New York style cheesecake made from scratch by Orcutt Bakery, topped with mixed raspberries, blueberries, and strawberries. 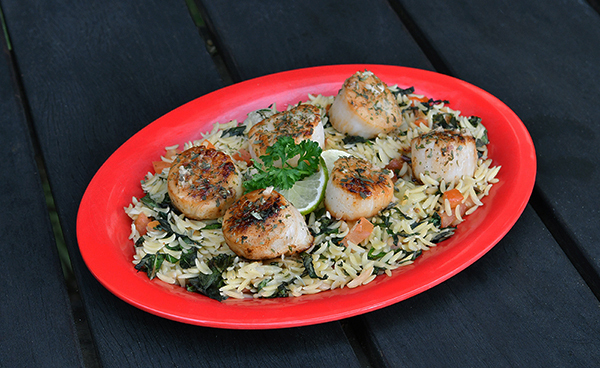 Succulent wild ocean scallops cooked with a savory tarragon, lime juice, and chardonnay reduction served on a bed of Orzo Romano. 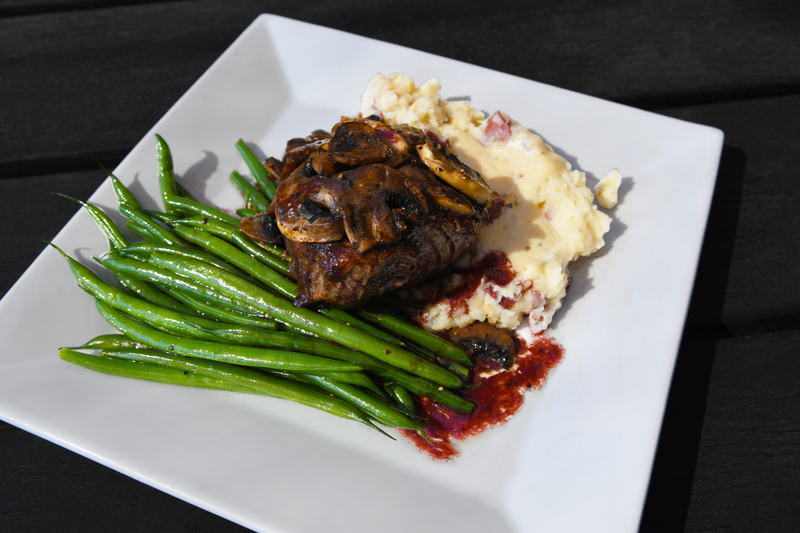 8 oz baseball cut prime Angus top sirloin, topped with sauteed mushrooms and house made Cabernet reduction. Served with Haricots Verts (thin tender French green beans), choice of mashed red baby potatos or rice pilaf. 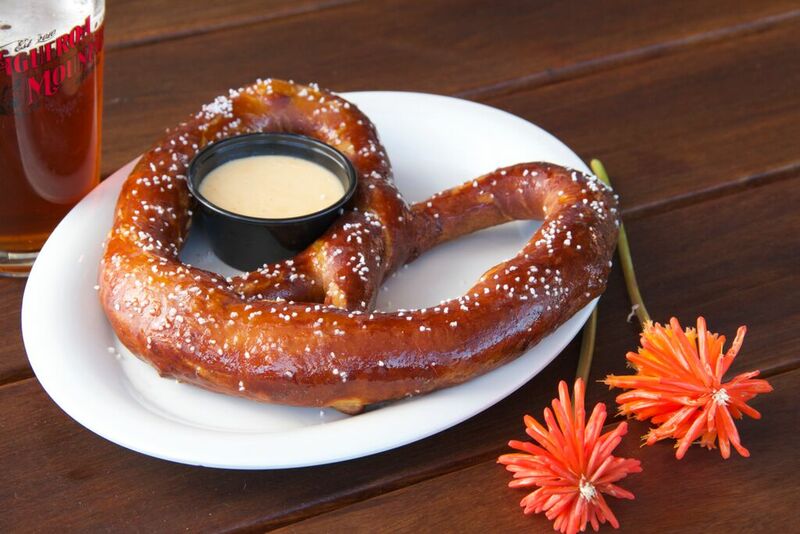 Pair with Pinot or Pale Ale. 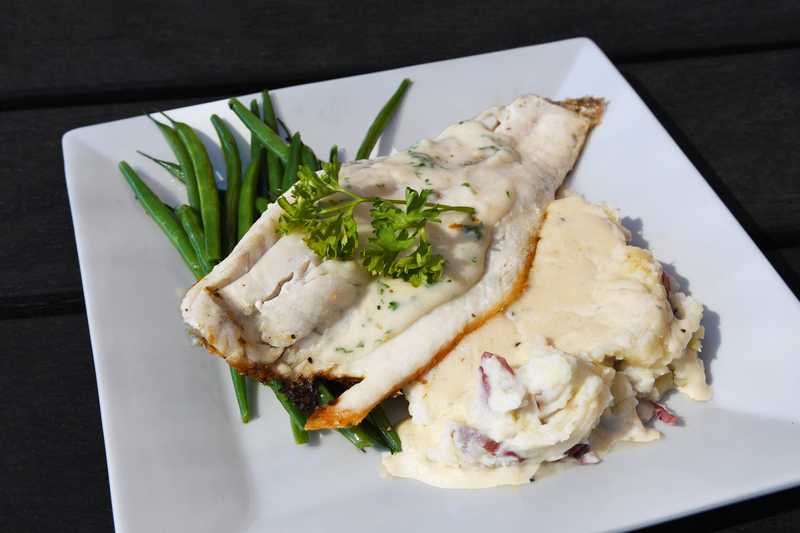 White Sea Bass fillet topped with our delightful house-made lemon parsley cream sauce, served with Haricots Verts (thin tender French green beans), choice of mashed baby red potatoes or wild rice pilaf. Wild caught Keta salmon sauteed in coconut oil and topped with a dash of MOXIE seasoning. 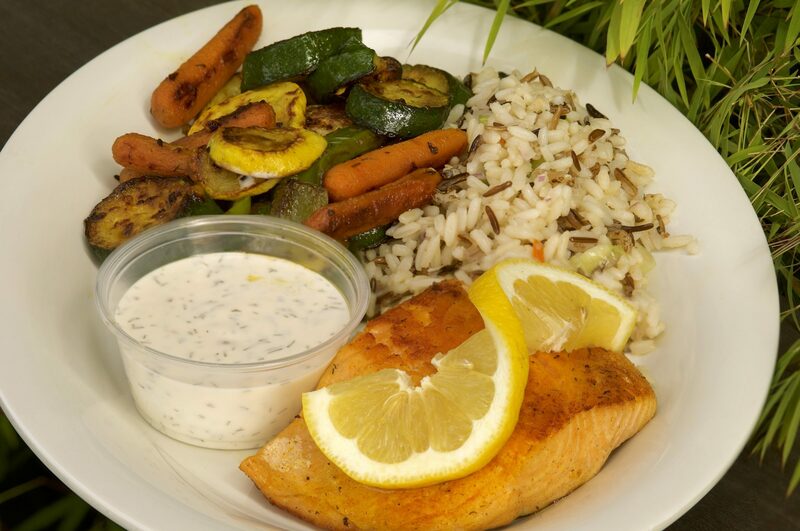 Paired with a delicious dill sauce, house made with creamy Greek yogurt served on the side. 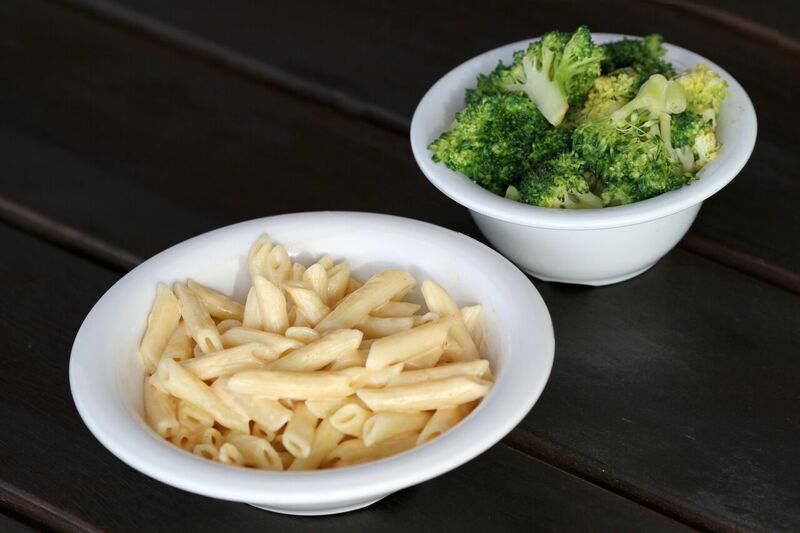 Served with your choice of any two sides. 3 tacos using all natural chicken marinated in a fresh blend of tomatoes, jalapenos, onions, create a mildly zesty flavor profile. 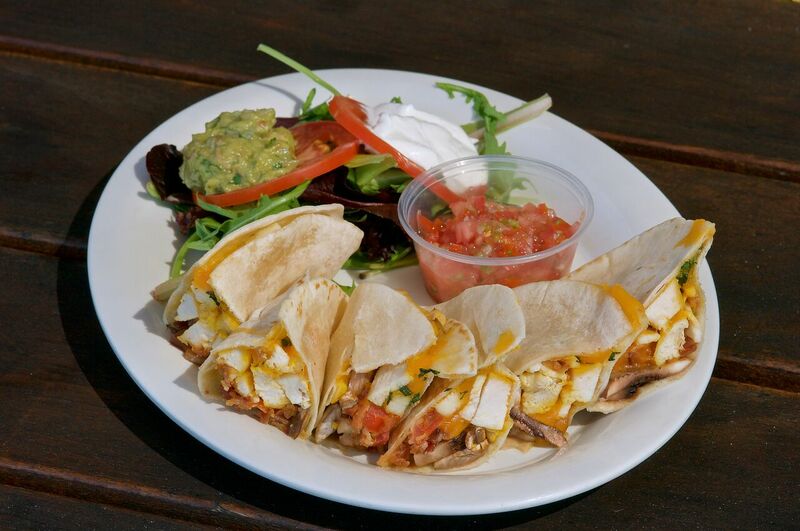 Served on a corn tortilla, topped with diced onions and cilantro. House made guacamole and salsa on the side. 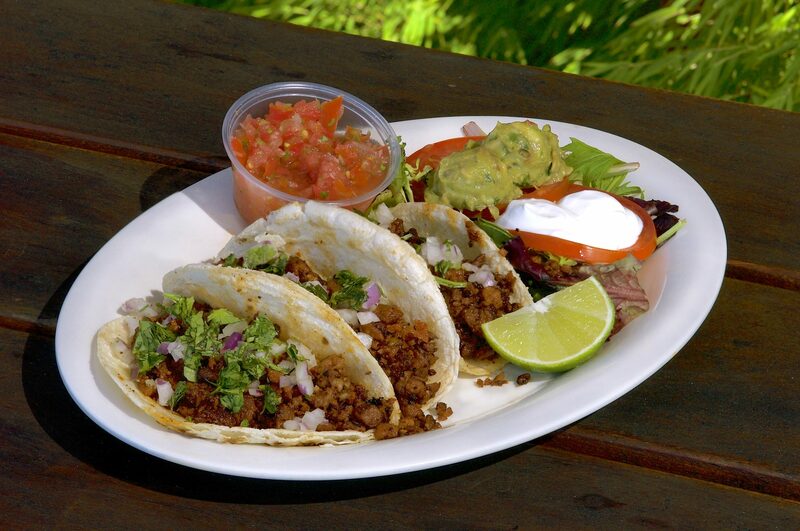 3 delicious tacos using our antibiotic/hormone free tri-tip, marinated in delicious blend of freshly squeezed orange juice, black pepper, and paprika. 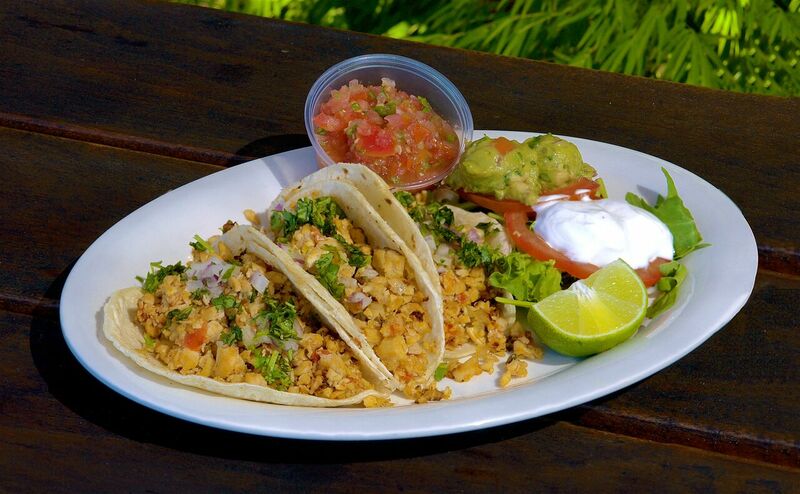 Served on a corn tortilla, topped with diced onions and cilantro. House made guacamole and salsa on the side. Texas Toast with a savory hint of cinnamon. 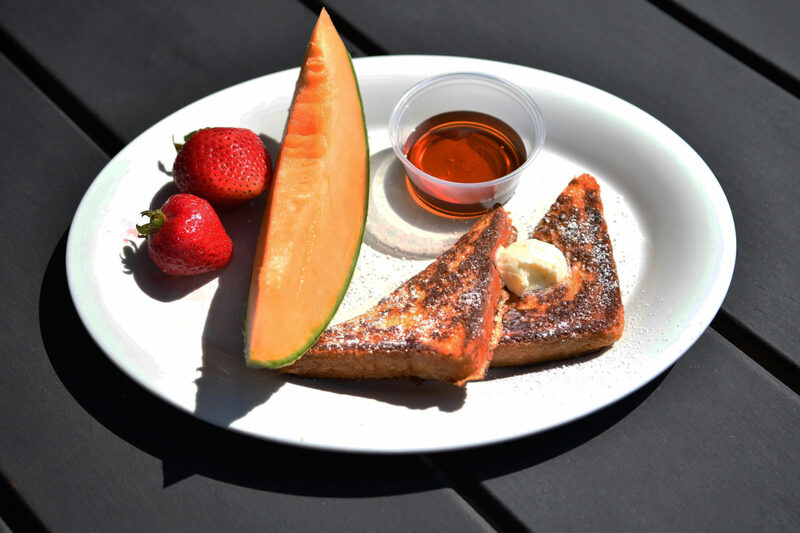 Served with real maple syrup, butter, and fresh fruit. 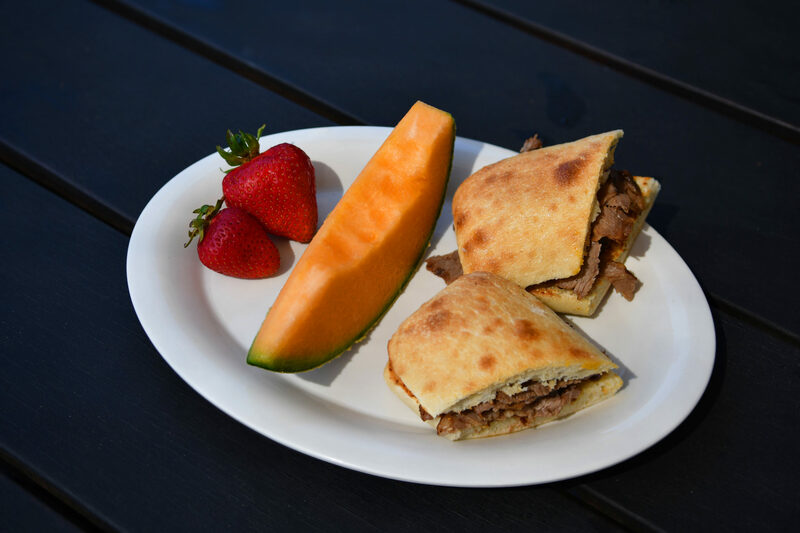 Tri-tip on ciabatta bread, fresh seasonal fruit, BBQ sauce and salsa upon request. 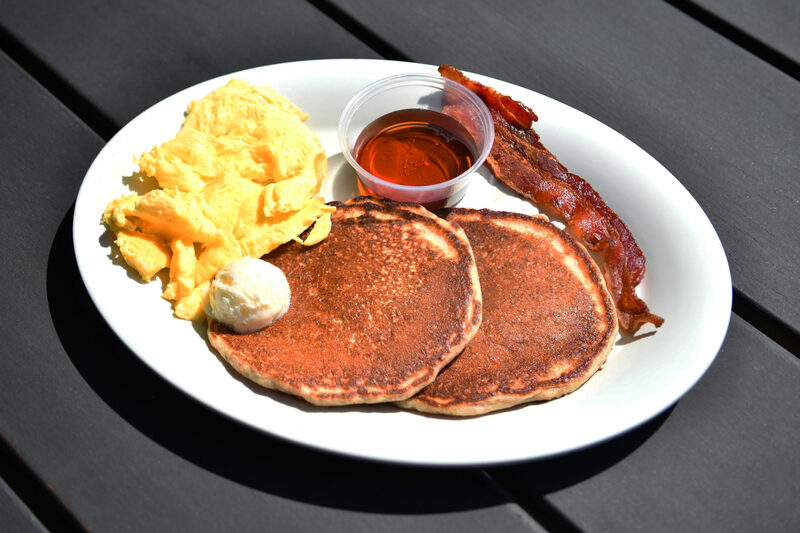 2 Pancakes, scrambled eggs, choice of bacon or turkey sausage. Served with real maple syrup. Swiss, cheddar, and cream cheese with broccoli. Served with fresh seasonal fruit. $595. Add chicken or tri-tip for $325. 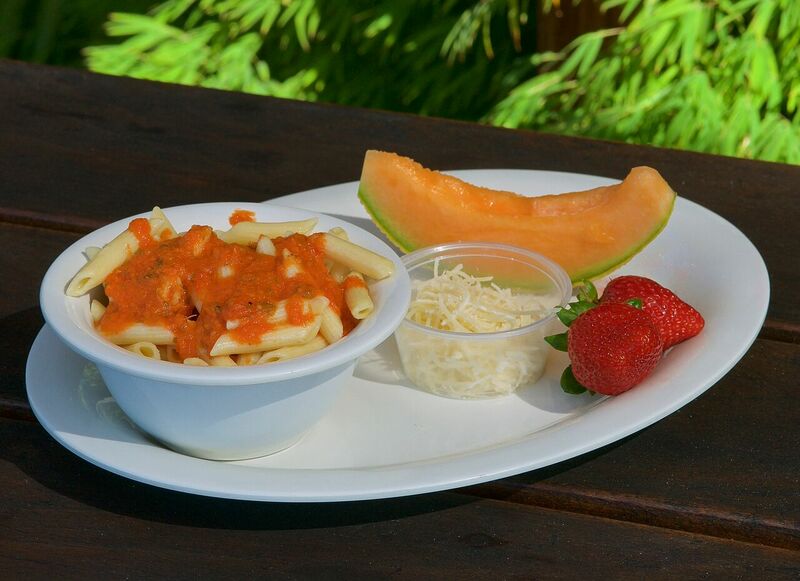 Fresh made penned pasta covered with MOXIE’s house made marinara style sauce. Ask for some shredded Parmesan on the side to bring the confetti to the party. Served with side of fresh seasonal fruit. 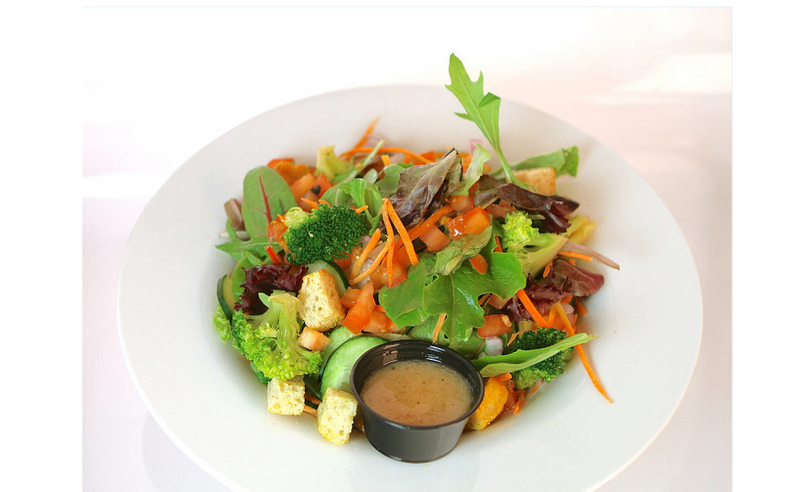 Mixed greens, tomatoes, cucumbers, carrots, broccoli, croutons, shaved red onion, choice of dressing (sesame ginger, ranch, balsamic vinaigrette, red wine vinaigrette. All natural sliced Angus tri-tip, cheddar cheese, roasted red onions, and hardwood smoked honey-cured bacon. 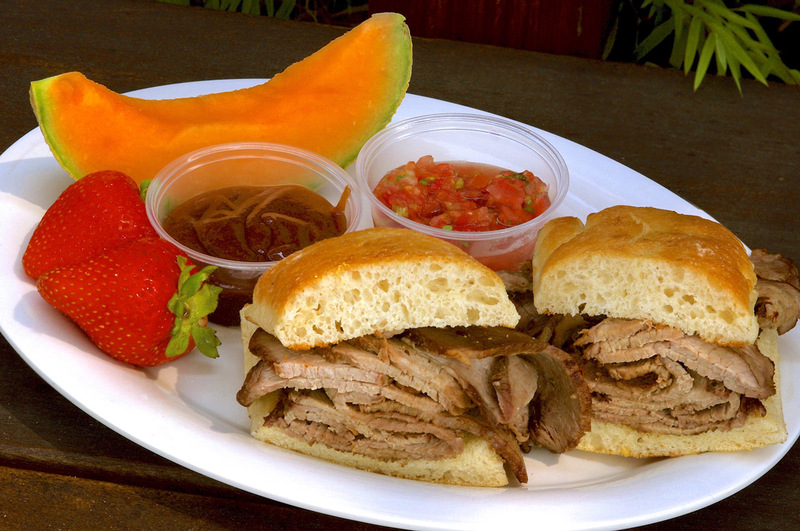 Sliced angus tri-tip with your choice of salsa or barbecue sauce. 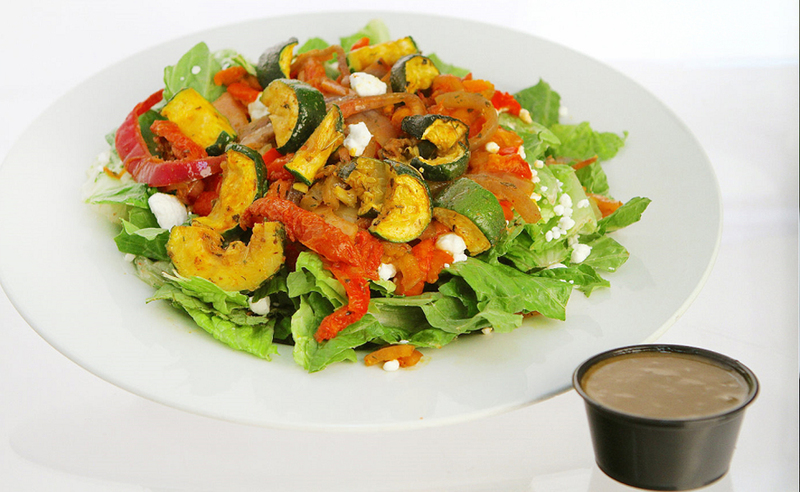 Romaine lettuce, roasted zucchini, roasted red onion, roasted bell peppers, oven dried tomatoes, goat cheese, balsamic vinaigrette. 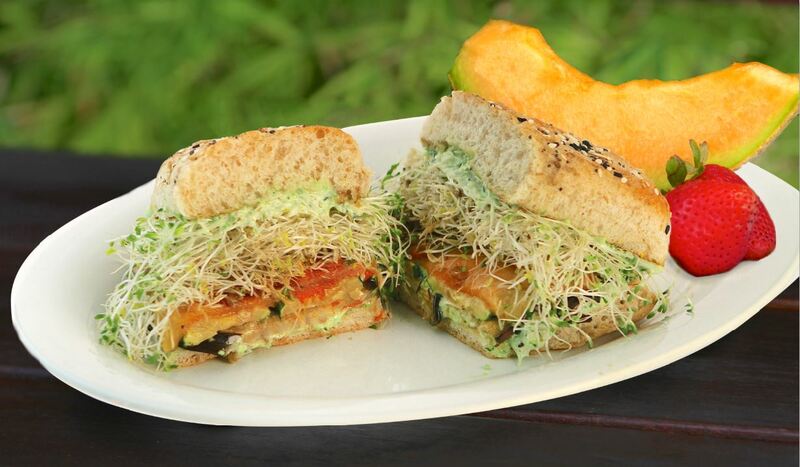 Eggplant, red bell pepper, zucchini, oven roasted tomatoes, alfalfa sprouts, cilantro-jalapeno aioli. 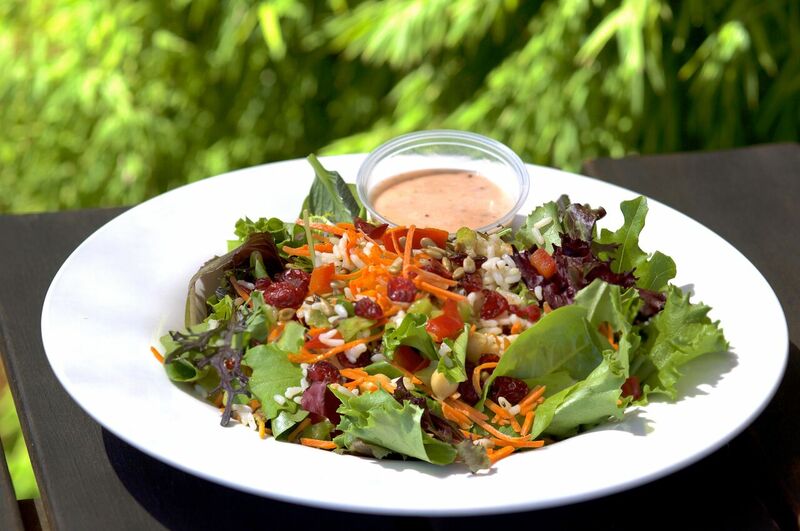 MOXIE Slaw – Cabbage, carrots, green apple, walnuts, cranberries, housemade coleslaw dressing. Fresh Fruit Salad – Pineapple, grapes, strawberries, and melon. BUILD A SPUD – A baked potato just the way you like it! Choose any three toppings: sour cream, veggies, butter, cheddar cheese, tri-tip chili, diced bell peppers, green onions and bacon bits. Fresh fruit salad- Handcut seasonal fruit normally including pineapple, grapes, strawberries, and melon. Serving Slake Coffee. an award winning roast from CAmbria Roasting Company. Available in medium or dark roast. Customize it with real half-n-half, and a variety of sweeteners. Orange juice, mixed berries, banana. Whoever thought you could have a full day’s supply of veggies in a chocolate shake? We did, and with the plant based protein drink it is not only delicious but healthful as well! 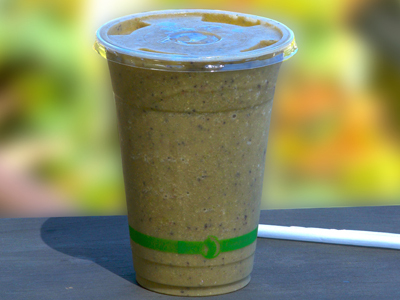 Almond milk, broccoli, spinach, agave, strawberries, blueberries, cocoa powder and bananas round out this delicious creation! Our Baristas will handcraft drinks just the way you like them on our imported Italian La Spaziale espresso machine. Our drinks are all available either iced or hot. Yum! 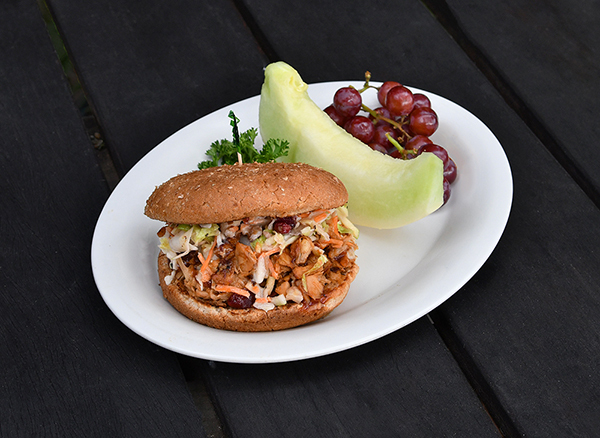 Young jackfruit braised with out tangy bbq sauce and topped with our homemade apple walnut slaw make this faux pork sandwich a must try for everyone! Spring mix, warm wild rice, diced bell peppers, shredded carrots, garbanzo beans, cranberries, sunflower seeds. Served with Red Wine Vinaigrette on the side. 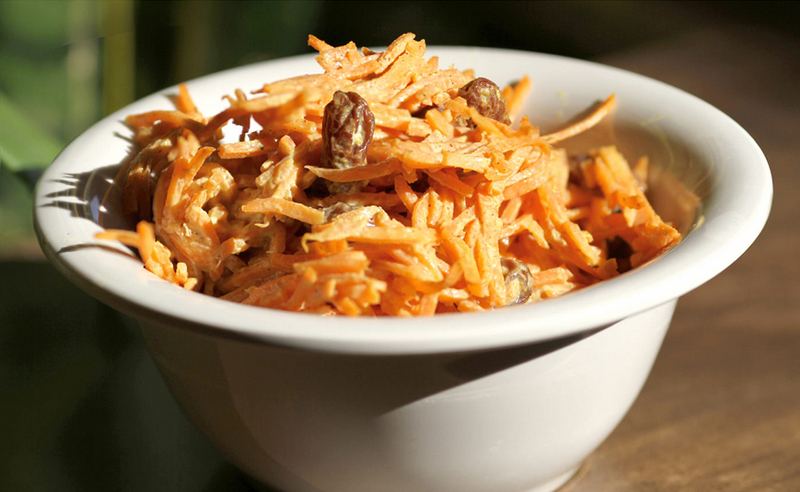 This delicious blend of flavors will not only excite your taste buds but is a healthful blend of salad with a healthy carbohydrate. It is Extremely rare that I get excited about places to eat out and I never leave reviews like this but I just had to. I was listening to my radio station a few days ago and heard the interview about this place and decided to try it today. I absolutely loved everything about it! The atmosphere the food everything was great. I left full and happy but not over stuffed. I will definitely be returning. My fiancé and I feel this will be our new place to go! I’ll be sure to stop by as soon as baby Leo is with us, hopefully by the next week or so ! Thank you again ! Thank you so much for working with me regarding this order yesterday. The lunch was accurate, delivered on time, and above all it was delicious and our staff enjoyed it very much! Thank you again! 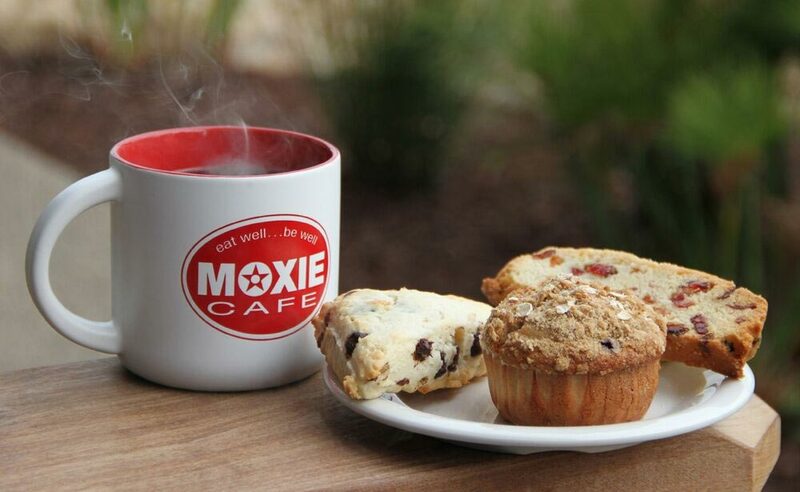 Just wanted to pass on my kudos to Moxie Café team for the excellent service this past event. You have a great team and it all starts with your management and leadership. Superb family and people’s team! Keep it up! My family and guests had a memorable and wonderful time. Thank you for your efforts to make our company meetings and celebrations an enjoyable success! 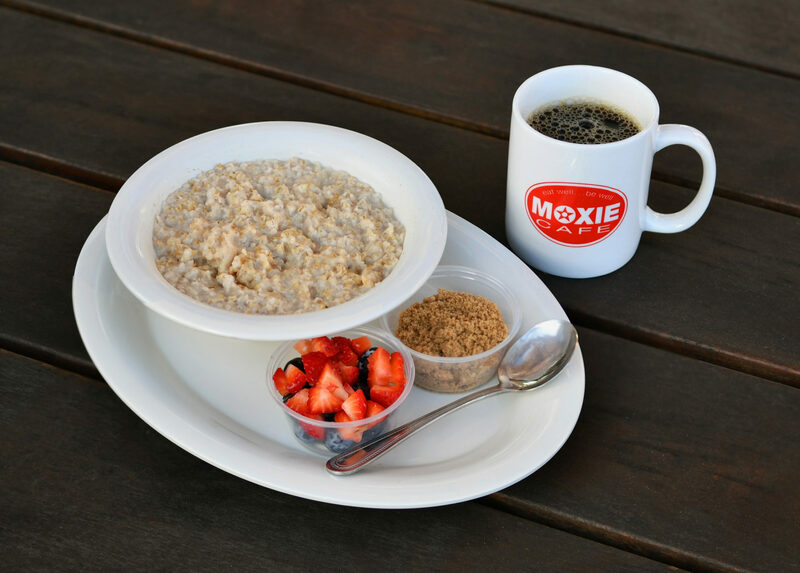 You are friendly, helpful, and hard working, which helps make every occasion at Moxie a hit! 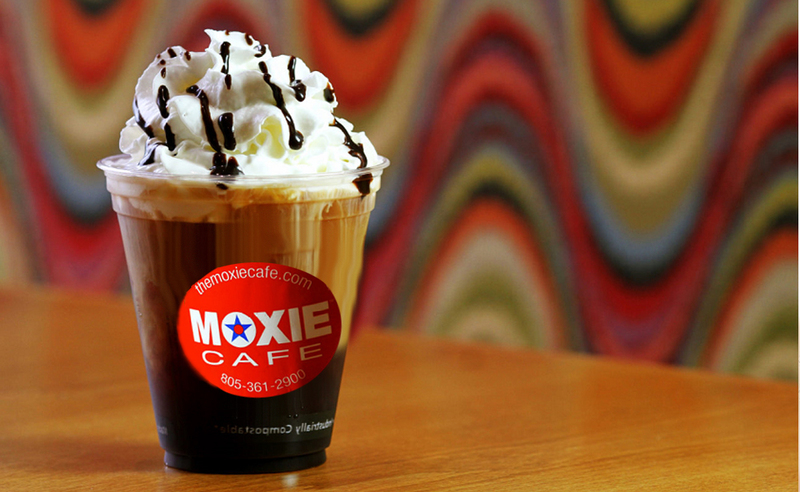 Justin and the team at Moxie Café were exceptional hosting our Meet & Greet. They were professional and a joy to work with throughout the process. Justin was helpful in recommending the best-selling and most popular items on the menu to ensure our guests would enjoy the meal. The team acted quickly to refill trays when the most popular items went even quicker than expected. They were also very accommodating as our needs changed on event day to make the entire event hassle free for us and enjoyable for our guests. 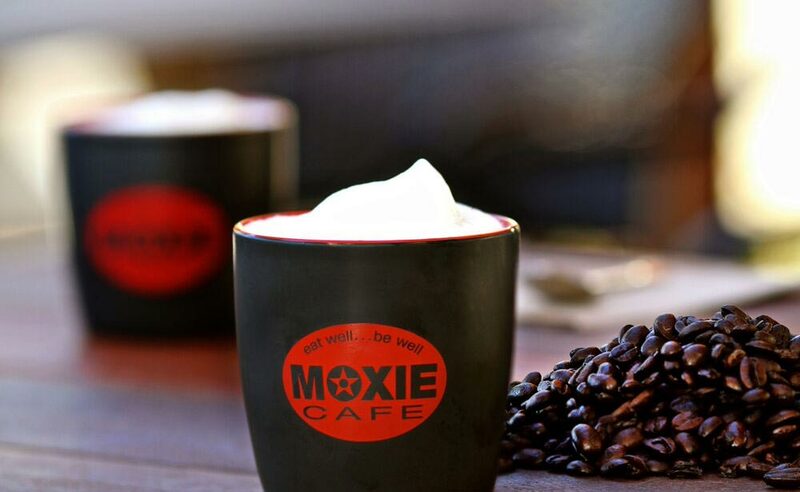 The Moxie Café team helped us make our entrance to the community exactly how we hoped! Such a fun place to be. I love that the kids aren’t looked at like three headed monsters for — being kids. It feels very homey and comfortable here and the staff is very welcoming and sweet. Worth the detour off 101! Place is immaculate! The food was hearty and delicious. There isn’t one thing we could find that was bad about this place. Had their BLTA and chili combo and was very tasty and fresh! I love this hidden gem in SM! It’s kind of off the beaten path but their food (breakfast, lunch, and dinner) and drinks (yummy coffee) are amazing! Very cute decoration and I love the ambiance of it all! I recommend the BLTA it’s my go to every time I stop by. I LOVE the atmosphere , the environment , and the staff was phenomenal ! The food – is TO DIE FOR. 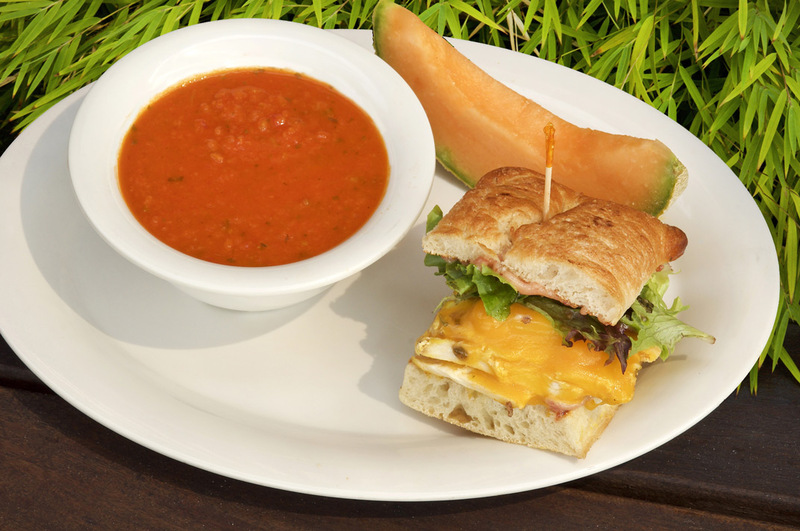 HEALTHY , DELICIOUS, FRESH FOOD ! I just thought I would let you know, how happy I was with everything. From the food to the delivery and the presentation, it was perfect for our event. Thank you. We came with a challenging situation and you not only met but exceeded all of our expectations! Our 153 person banquet went on without any problems or complications! The food was amazing, the staff were extremely efficient and helpful, the facilities were clean and everything went so smoothly. Thank you for being so very accommodating to our very large group of kids, young adults and parents! I really appreciate all the extra effort you put into making sure we had all the necessary equipment as well as making sure the floor plan would work well with our presentation and award ceremony. I can’t thank you enough for taking on this task and meeting all of our needs!!! We look forward to doing more business with you in the future! I just wanted to thank you and your team. Everything was perfect. The room setup, the food, the service, everything… especially the price! Cynthia was very accomodating and she does her job merrily. Thank you so much! Thank you to your team. You guys are awesome! 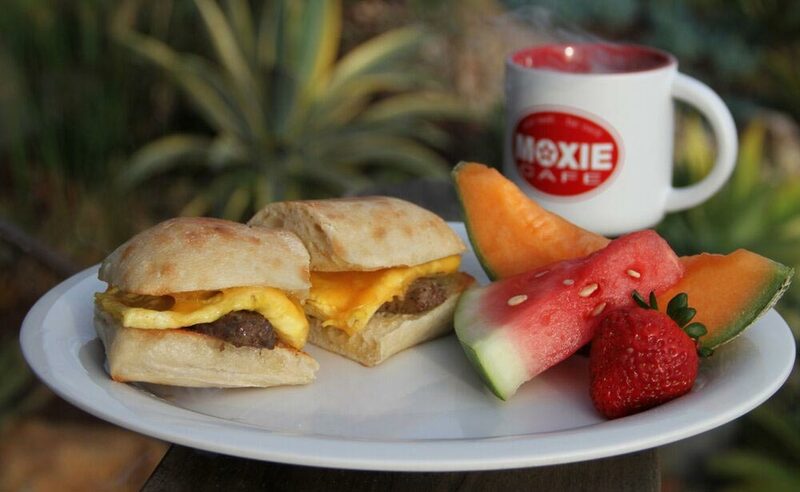 Watch the new video about the Moxie Cafe, then come by and taste the healthiest and most delicious food in Santa Maria. I have always wanted to find a restaurant where I could eat with confidence knowing that whoever was making the food was as committed to healthy food as I was.